I have no idea what kind of spider this is. Can anyone help? Dolomedes albinius, white banded fishing spider. It has a little bit different markings than usual. I don’t know what it is about tires. 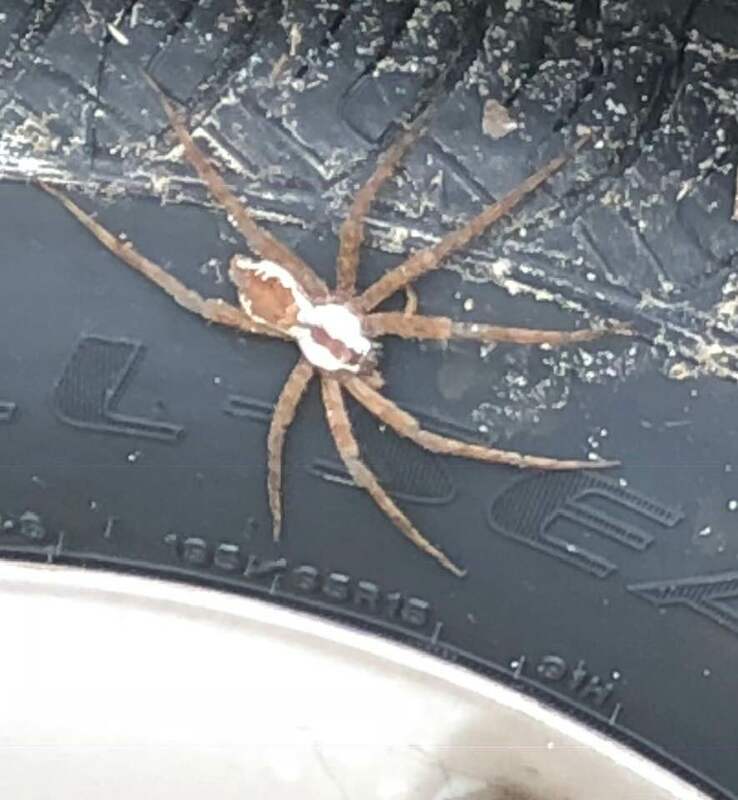 We have several photos of fishing spiders clinging to tires.